Israel faced another setback Monday in its efforts to deport illegal aliens who have moved into Israel en masse over the past several years – this time from the UN Human Rights Council, whose chief accused Eritrea of major human rights violations. 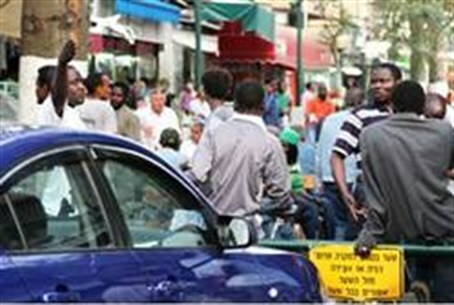 A large number of the 60,000-some illegal Africans in Israel hail from Eritrea. Israeli officials have long argued that the vast majority of them came to Israel in search of work, as opposed to escaping from a perilous political situation. Under international treaties, Israel would be required to accept all such refugees. However, the country is under no such obligation to “economic refugees.” On Sunday, a group of several dozen illegals from South Somalia were repatriated to their homeland, after the High Court determined that citizens of that country could return home without having to fear the torture and death that may have prompted them to come in the first place, after the end of the civil war in the country and the declaration of independence by South Sudan. Eritrea has been a nation since 1993, ever since it broke off from Ethiopia, and immigrants from the country have insisted that they are political refugees. Now, they have backing from Navi Pillay, head of of the UN Human Rights Council. In a scathing report, she told members of the Council Monday that Eritrea was among the worst human rights offenders in Africa, with as many as 10,000 political prisoners held in prisons. “Credible sources indicate that violations of human rights include arbitrary detention, torture, summary executions, forced labor, forced conscription, and restrictions to freedom of movement, expression, assembly and religion," Pillay told the Council. The European Union issued a statement saying that they agreed with Pillay's assessment. Last April, Ethiopia accused Eritrea of kidnapping dozens of miners, and forcing them to work in mines on the Eritrean side of the birder, digging up gold and other minerals. In the wake of Pillay's comments, officials in Israel said that the country would have a much harder time repatriating Eritreans. “We have been trying to arrange for their return, as well as trying to find a third country that will accept them,” said a Foreign Ministry official. “We were able to make progress with the Sudanese,” he said, but the Eritreans may prove to be a much tougher problem. Israel, however, need not feel as if the Eritreans are targeting it; emigrants from the nation have been showing in countries throughout Africa and Europe, with large numbers in Sudan, and some reaching Western Europe.